Washington D.C. criminal defense attorney Shawn Sukumar handles a wide variety of criminal cases including DUI defense, assault, domestic violence, drug possession, solicitation/prostitution, as well as many others. Mr. Sukumar has devoted his entire career to criminal defense, and has in depth knowledge and experience on how criminal cases are handled. Prior to private practice, Mr. Sukumar worked at the Clark County Public Defenders Office in Las Vegas, Nevada and has also pursued a clerkship at The Public Defender Service for the District of Columbia. 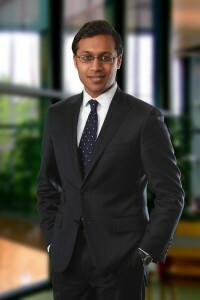 Mr. Sukumar has also been named to The National Trial Lawyers top 40 under 40 list. Shawn Sukumar has the experience required to aggressively fight the criminal charges you may be facing. Mr. Sukumar understands what it feels like to be facing criminal charges, and will work diligently to mount a strong defense to the charges against you.